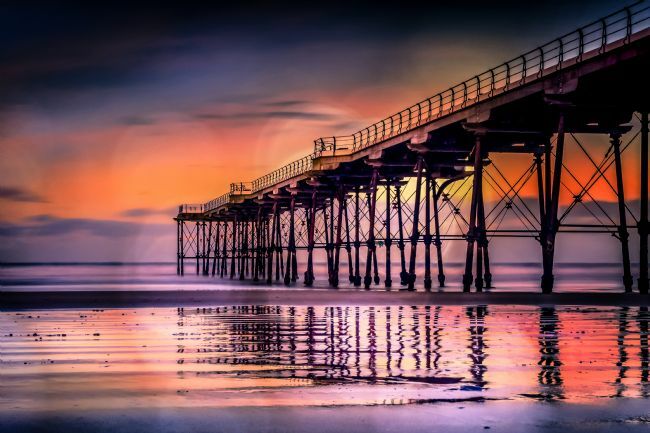 Saltburn Pier taken during a particularly orange sunset. With the tide out the wet sand provided some great reflections. 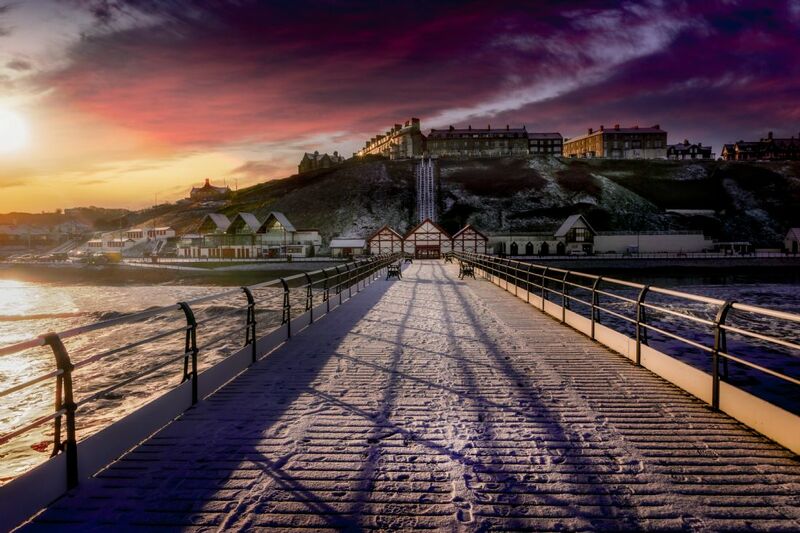 A light covering of snow covers Saltburn Pier. Footprints showing others that have come down to admire the view. 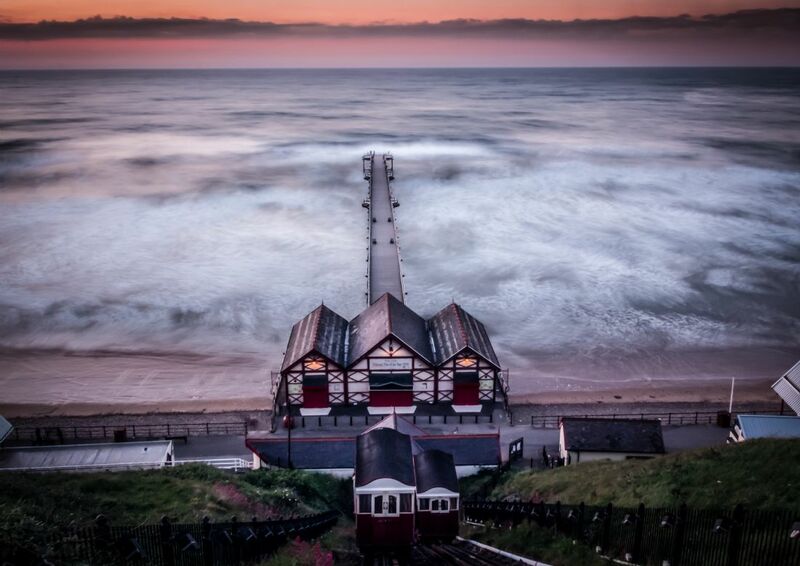 Saltburn Pier on a glorious May evening. Take a seat and enjoy the sunset with fish and chips. 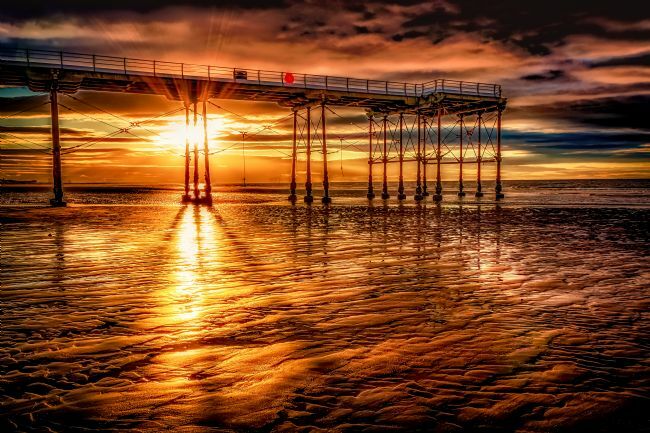 The pier is one of the many attractions that draw people from all around the local area. Please note this image would be best as a print and not as a canvas, due to the highlights from the sun. The July sun setting behind Saltburn Pier. 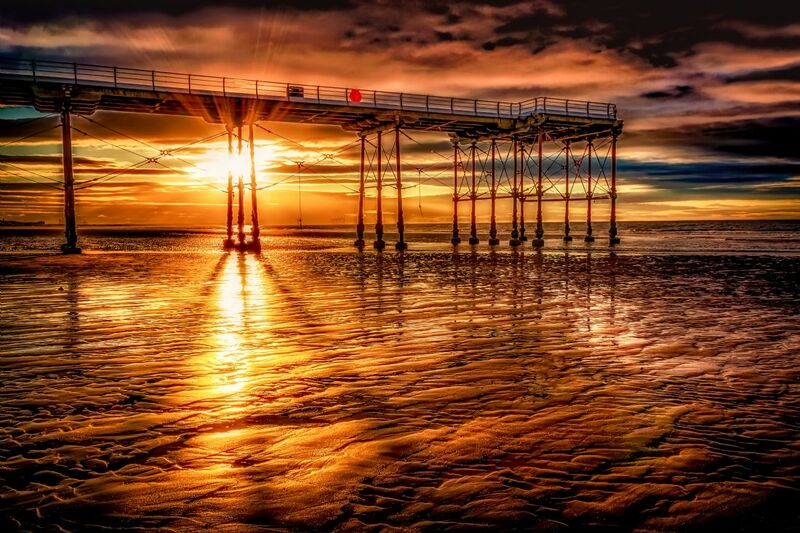 Memories of a day at the sea, slowly fade with the setting sun. Sandcastles have long washed away, two ropes used by children as swings long abandoned, only to be used again on another sunny day. 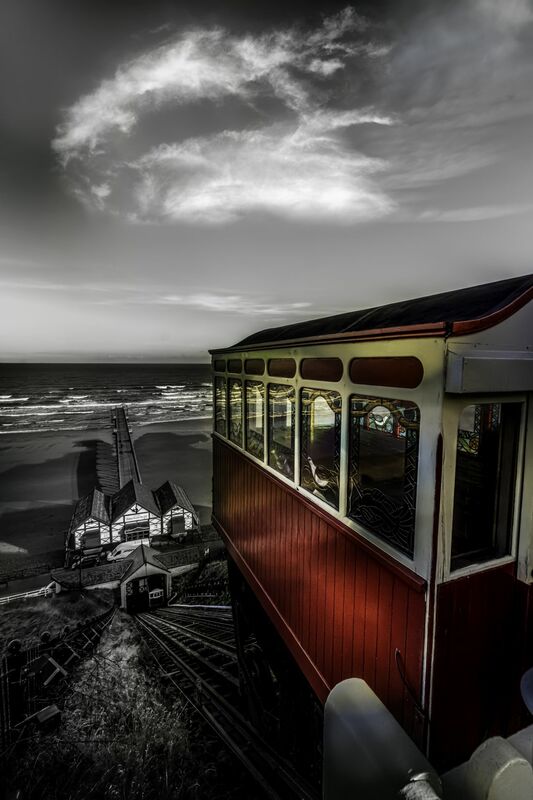 One of the most famous views of Saltburn Pier and Funicular. Using the power of water to move people up and down the cliff the lift is a feet of Victorian engineering. Very useful if you've had fish and chips and even he thought of climbing the cliff is too much. 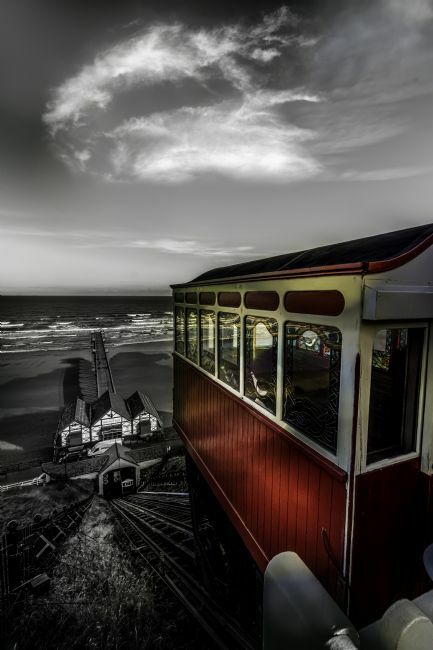 Saltburns Funicular lift. Built by the Victorians, the lift makes short work of the climb down to the Pier and seafront. A life guards beach buggy, ready at a moments notice to rescue people in trouble in the sea off Saltburn beach.